Last year’s overall winner of the Tattersall Cup for outright handicap winner, she will once again start as the favourite to repeat her 2017 success. Since last year’s victory she has been the outright winner of the Brisbane-Gladstone race, Flinders Island race, Newcastle Bass Island race, Airlie Beach race week, and runner up at Hamilton Island race week and the Noakes Sydney Gold Coast Yacht Race. 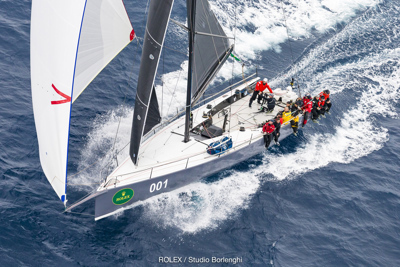 Beautifully prepared by Australian Sailing President Matt Allen and with a top-level crew she could become only the third yacht in the 74-year history of the race to record back-to-back victories.